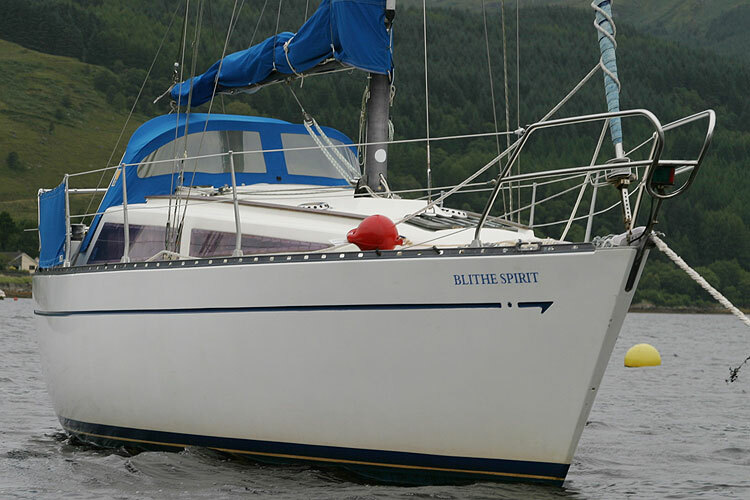 The Leisure 27 bilge keeler, is a fast, stable small family cruiser with a spacious feel, shoal draft and good sailing performance. 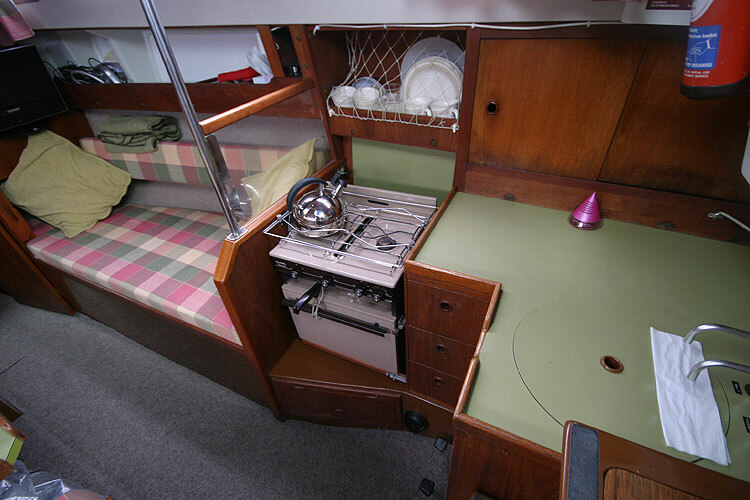 Designed for Cobramold in 1977 by Frank Pryor. 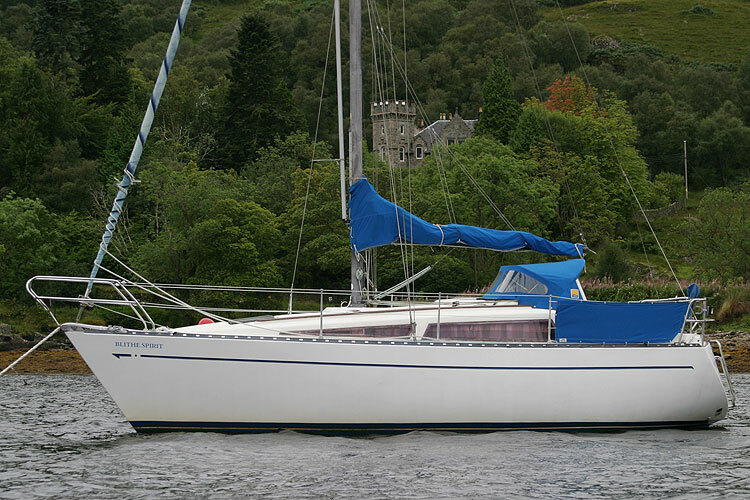 With a generous beam and six foot headroom the Leisure 27 makes a good, comfortable cruising yacht for a couple or small family. 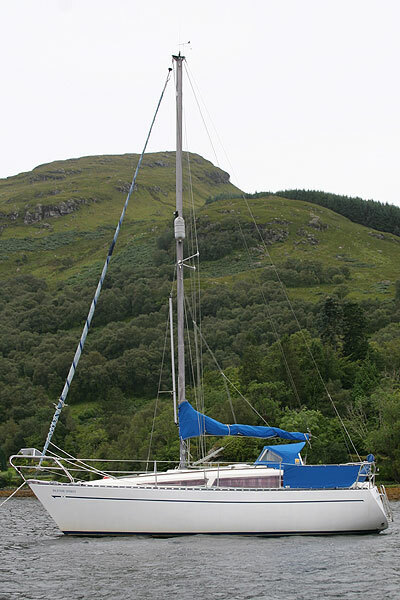 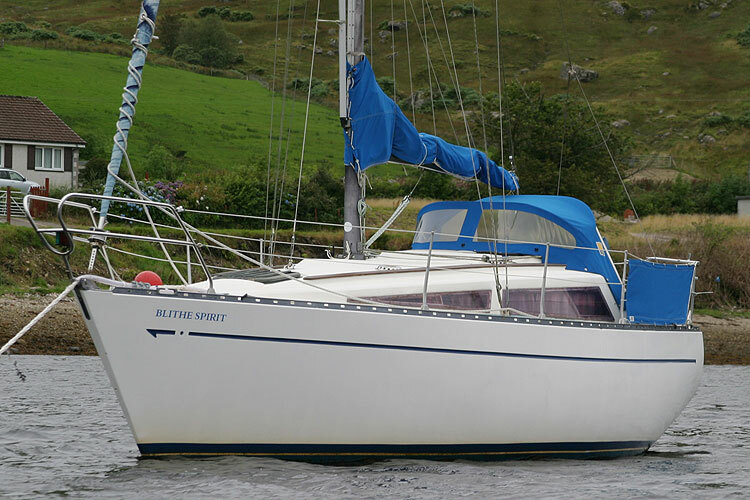 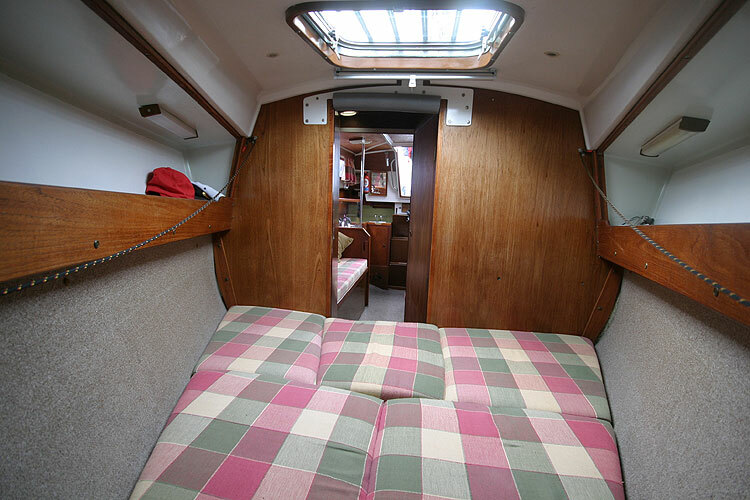 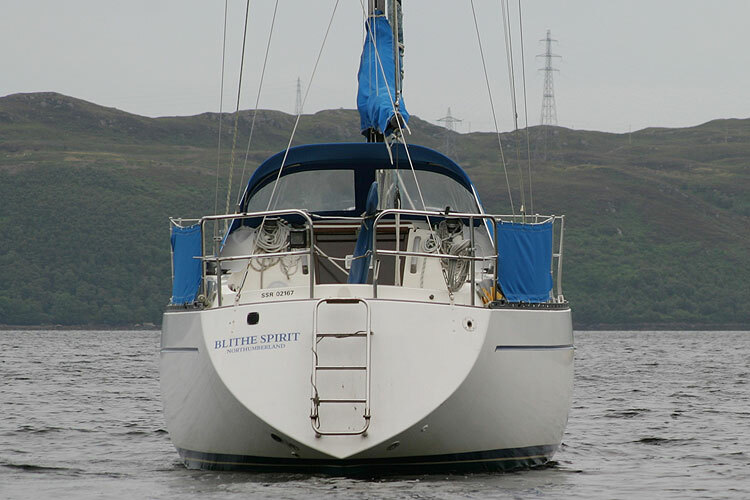 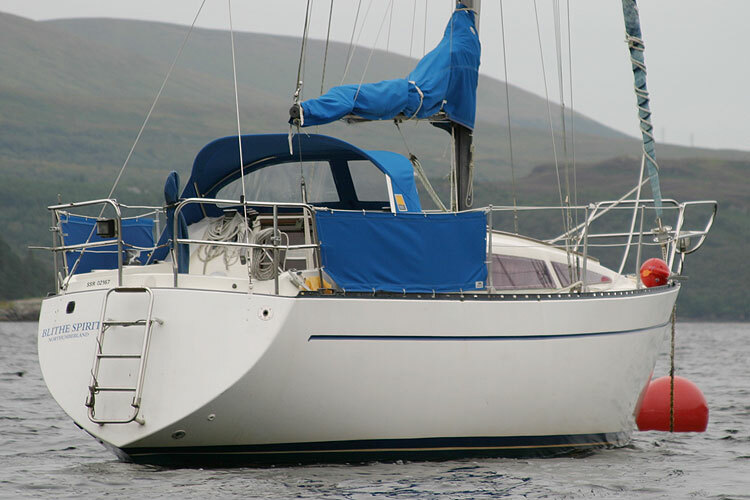 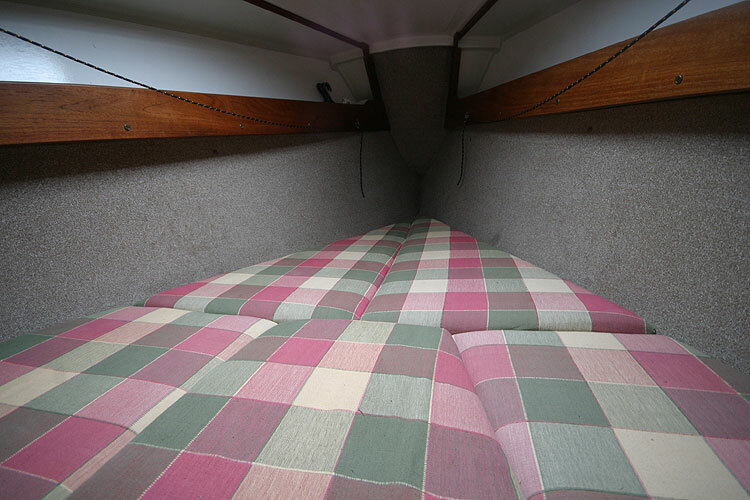 With three owners from new, this one has sailed extensively around the British Isles, being based on the East Coast, The Solent and now on the West Coast of Scotland. 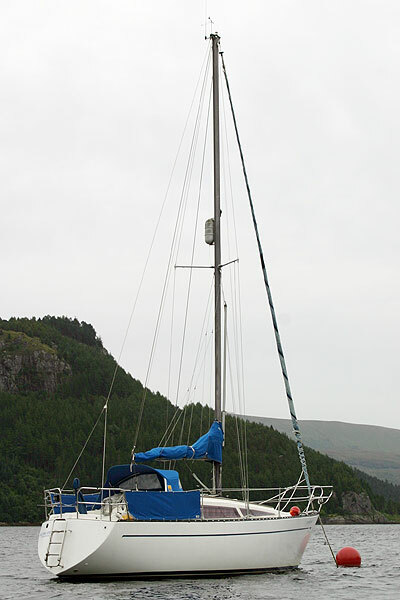 Sailed in early summer 2009 from the Solent, round the east coast to Scotland and through the Caledonian Canal to the West Coast. Forward double V berth with infill. 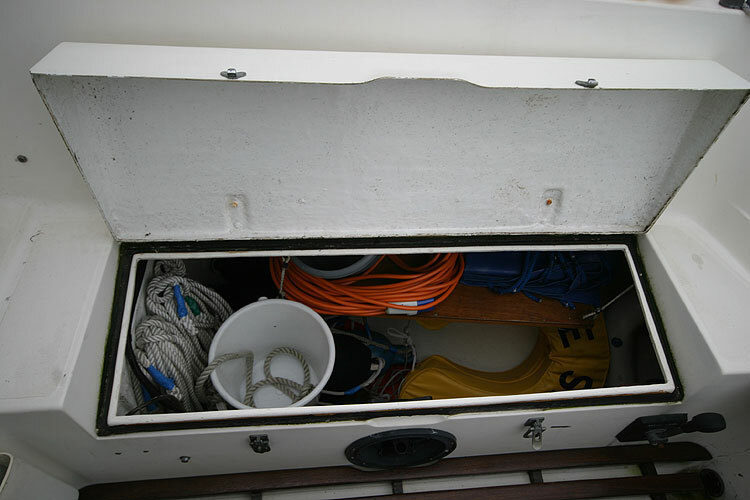 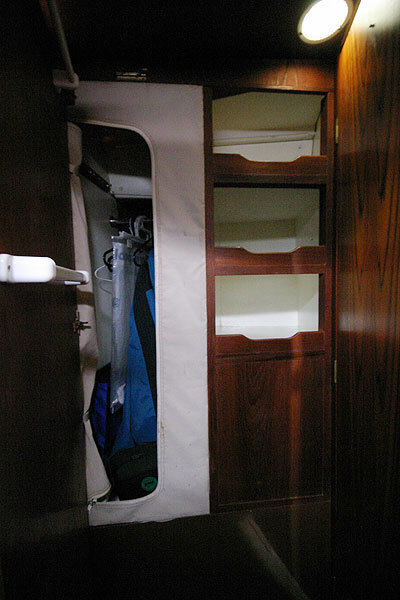 Hanging locker and storage. 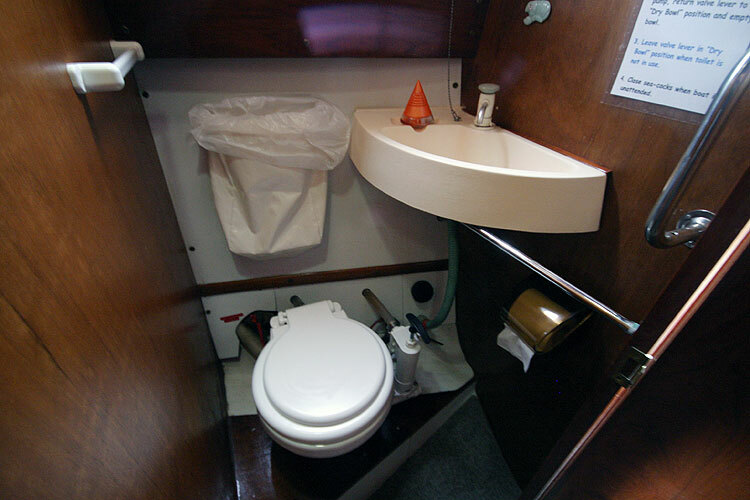 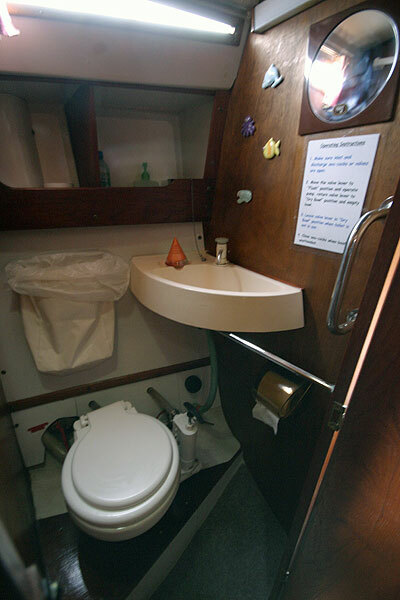 Heads compartment with hand basin and sea toilet (new in 2008). 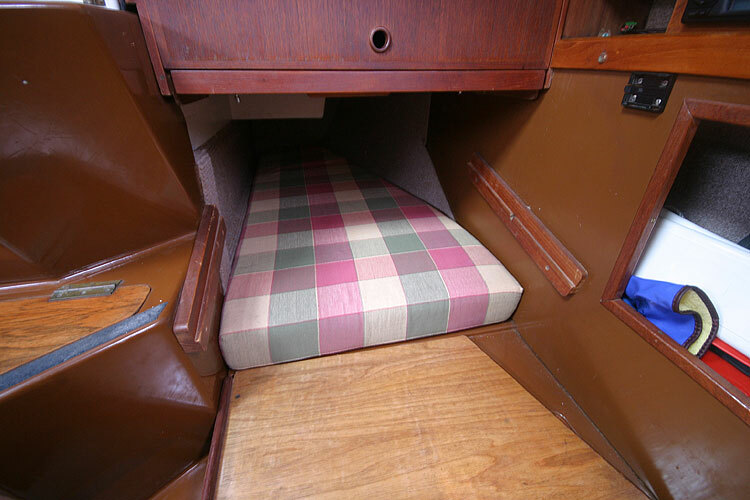 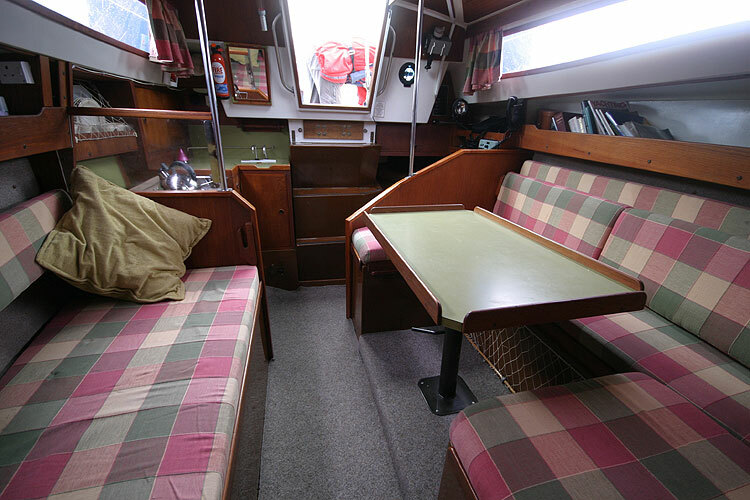 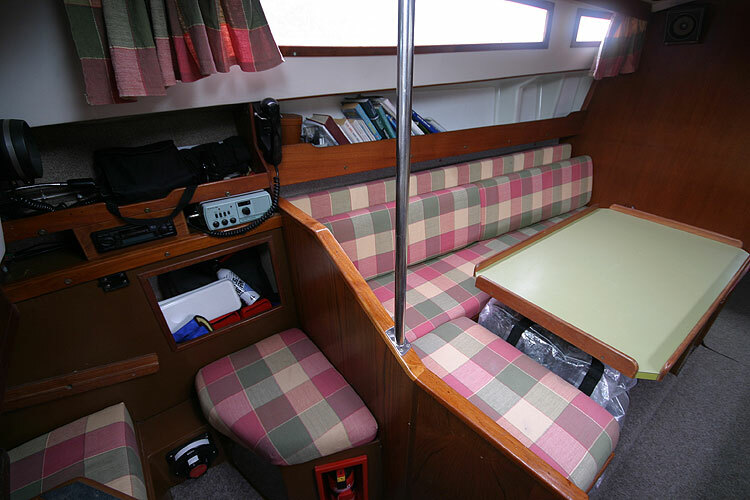 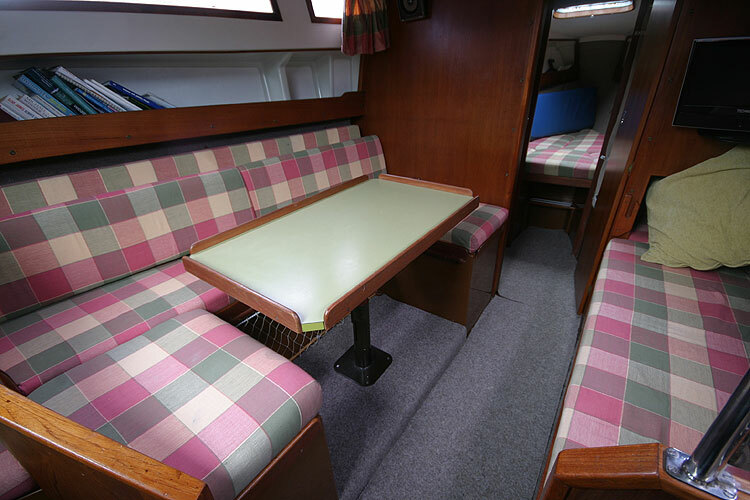 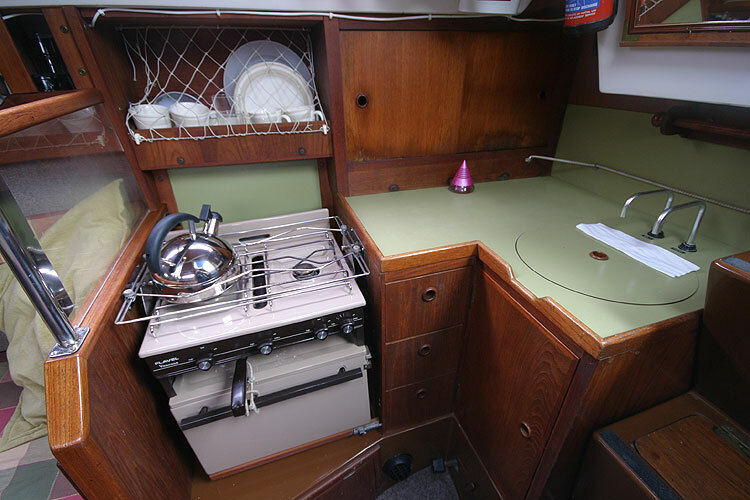 Dining /seating area converting to double berth. 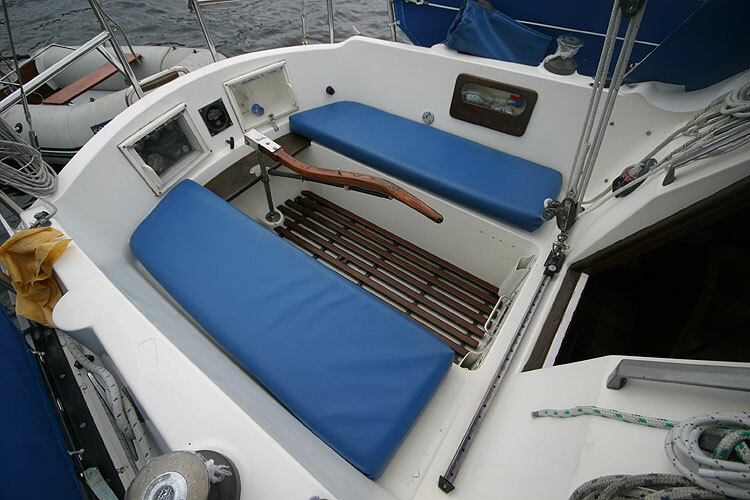 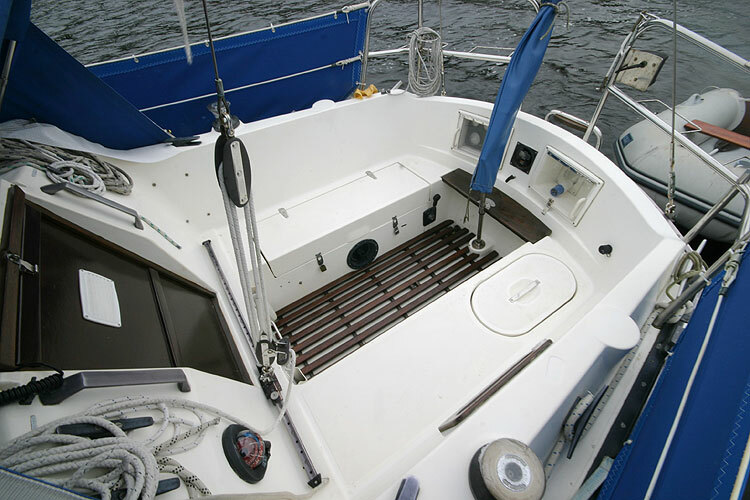 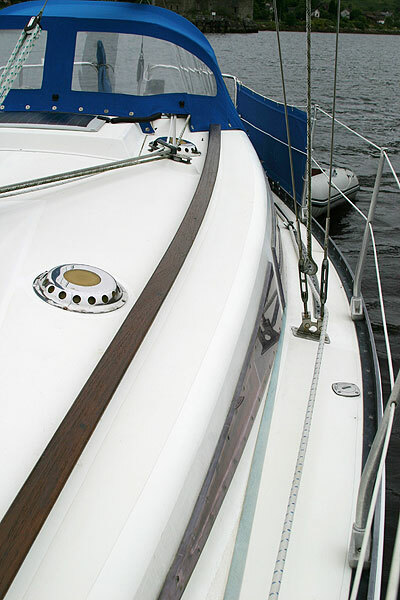 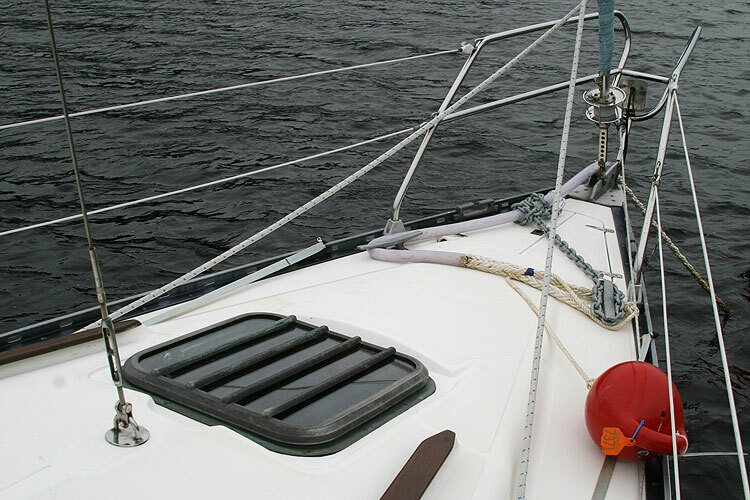 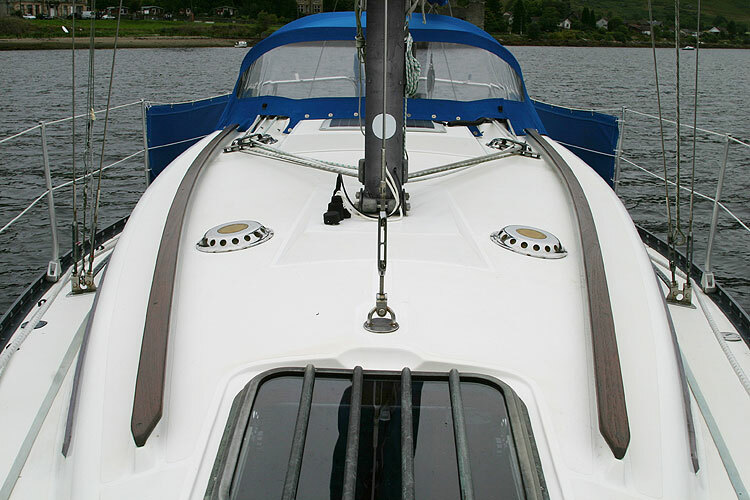 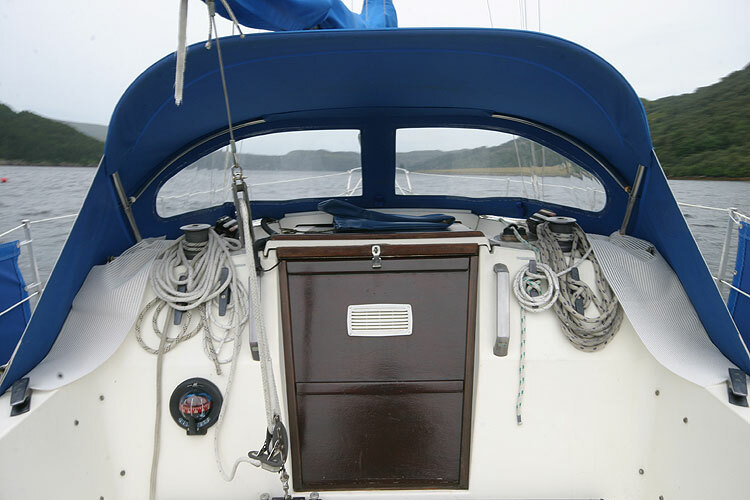 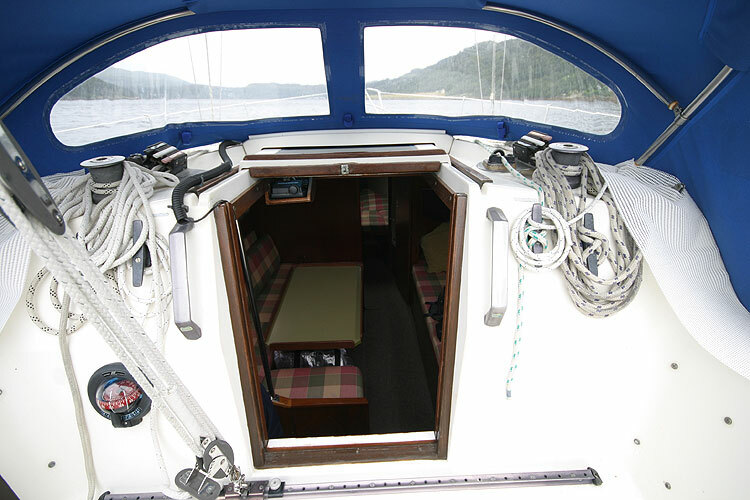 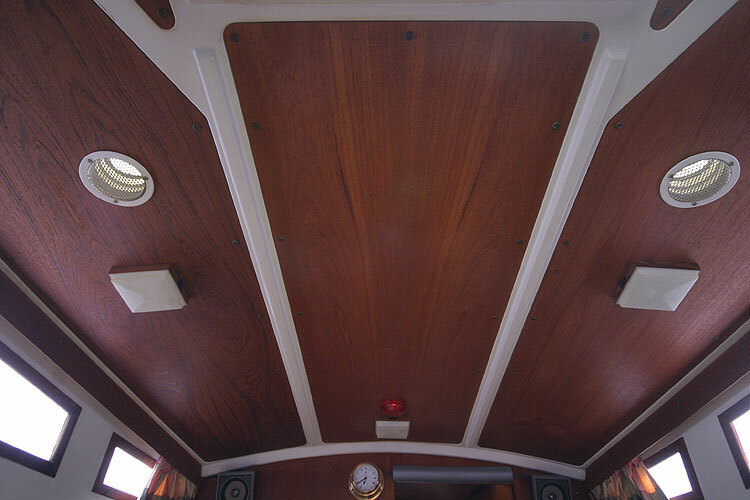 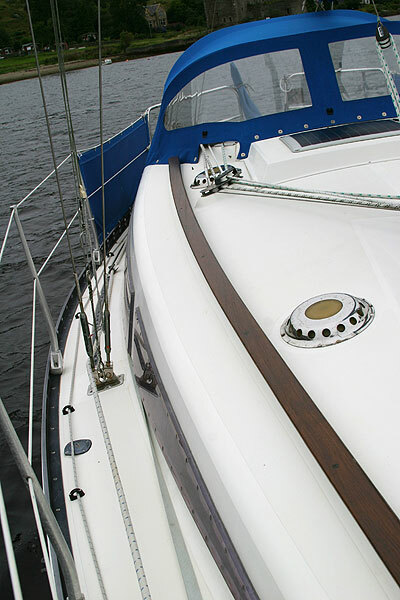 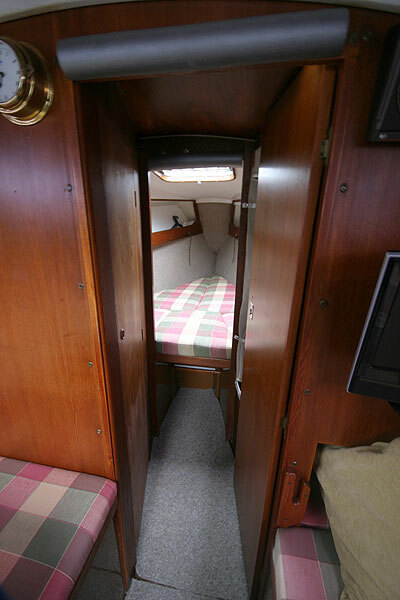 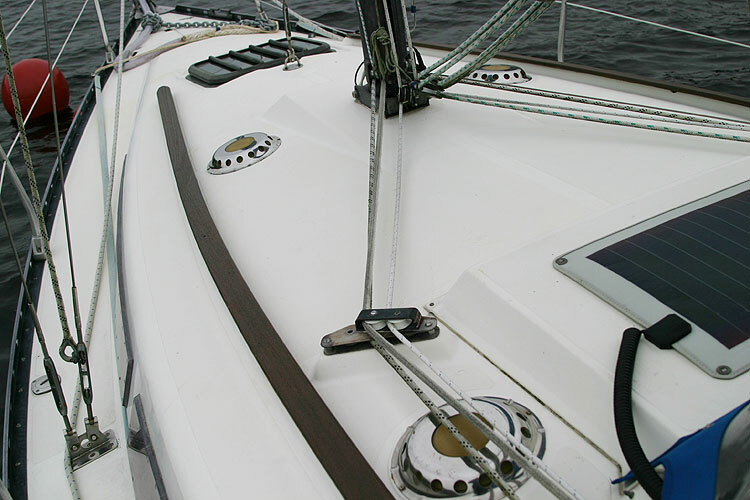 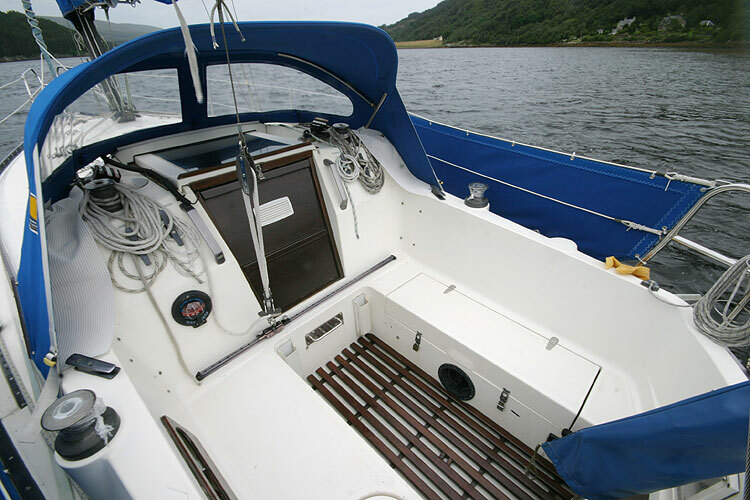 Starboard single and port aft quarter berth. 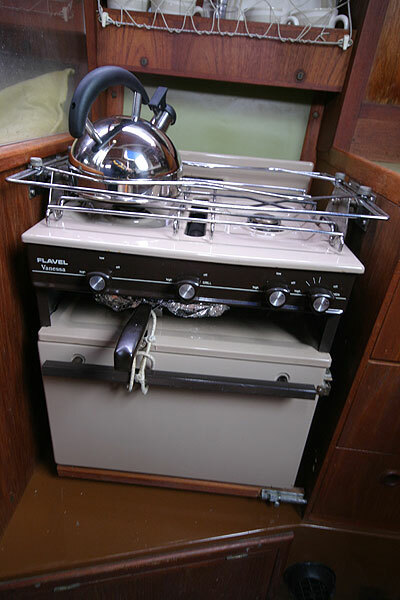 Flaval Vanessa with 2 burners, grill and oven. 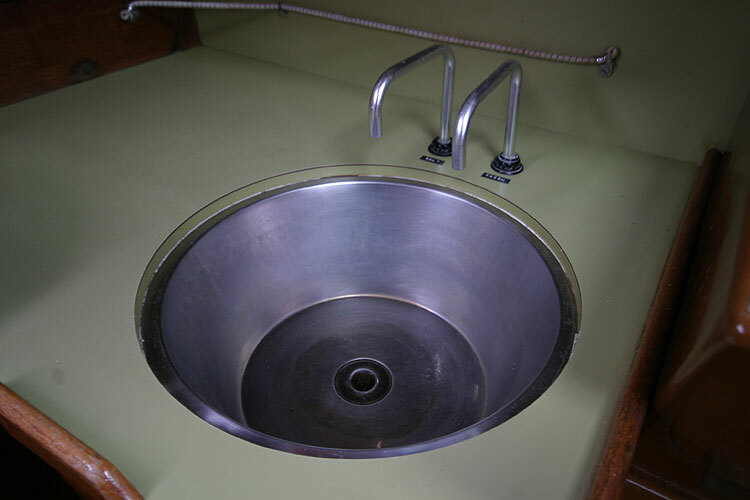 Sink with foot pumped fresh and sea water. 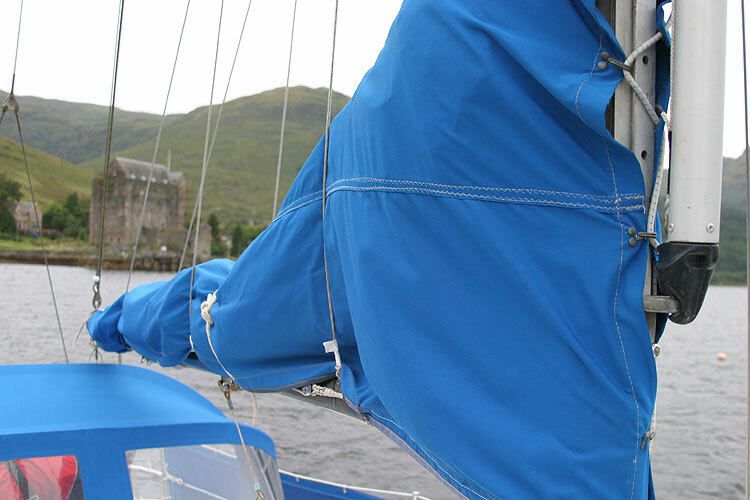 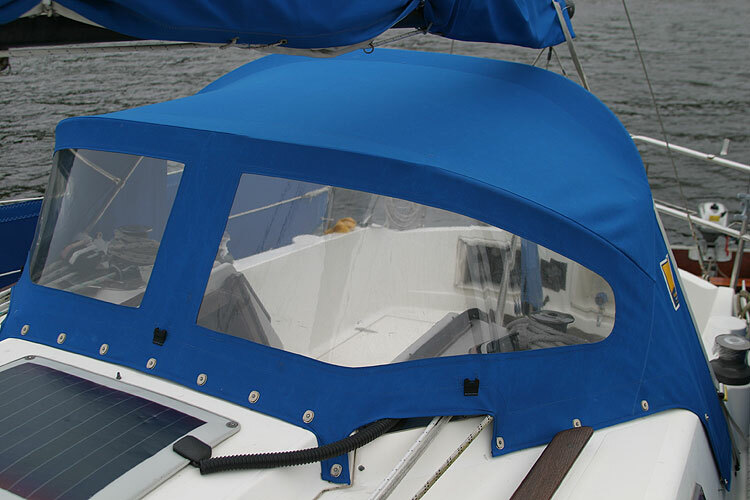 Fully battened main sail with lazy jacks. 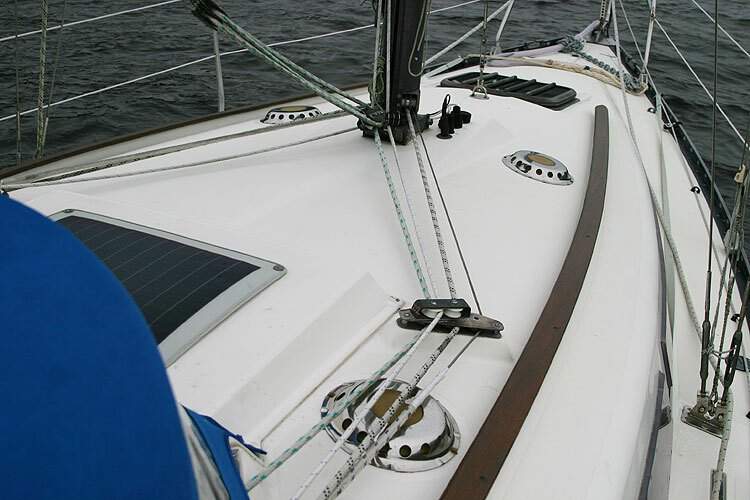 Genoa on Plastimo furling gear, storm sail, spinnaker with recovery chute. 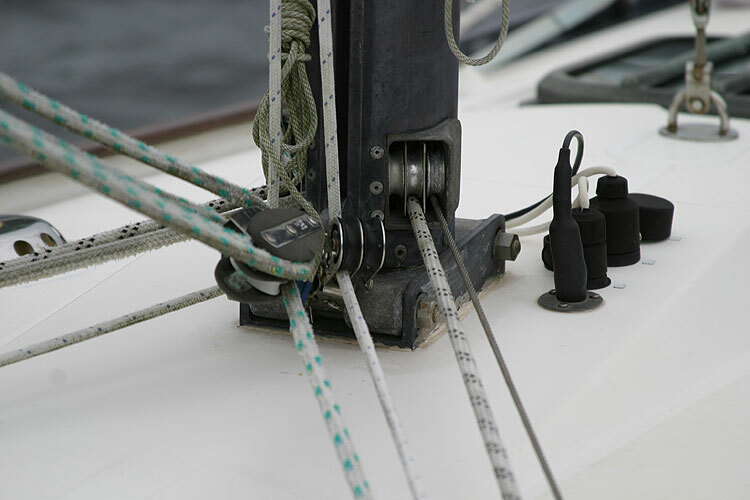 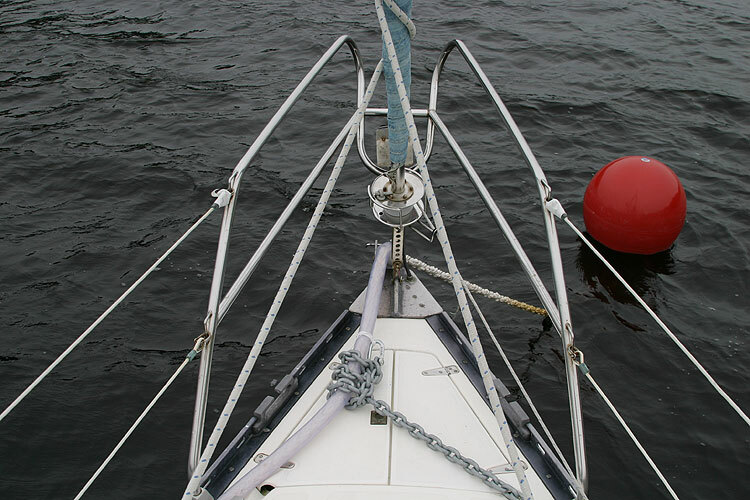 New stainless steel standing rigging in 2002. 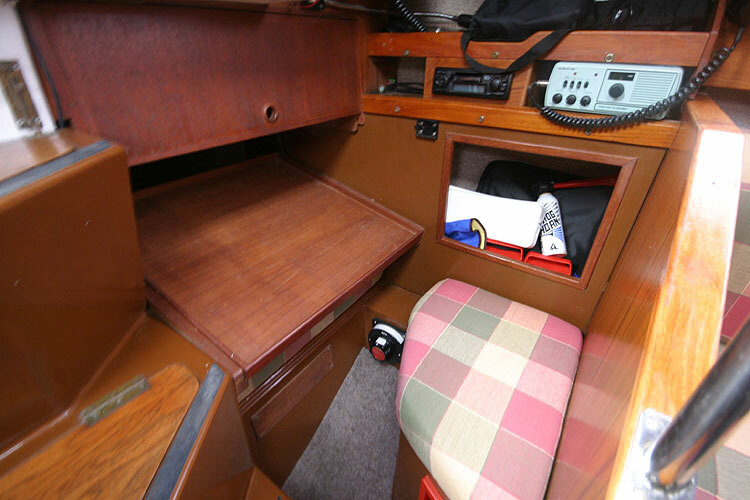 Garmin GPS, hand held Garmin GPS, VHF, hand held VHF. 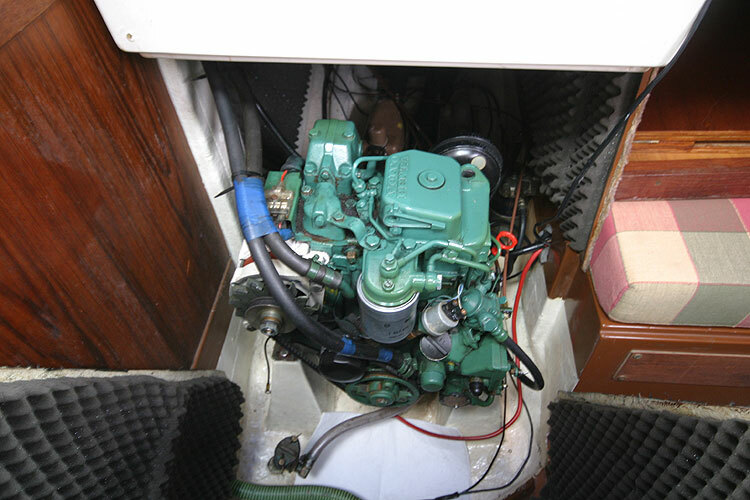 12 volt with dual battery system and 1/2/both switch. 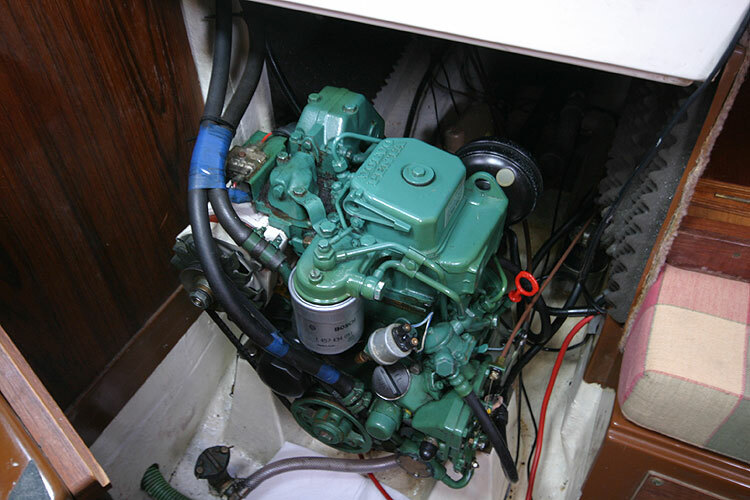 Shore power. 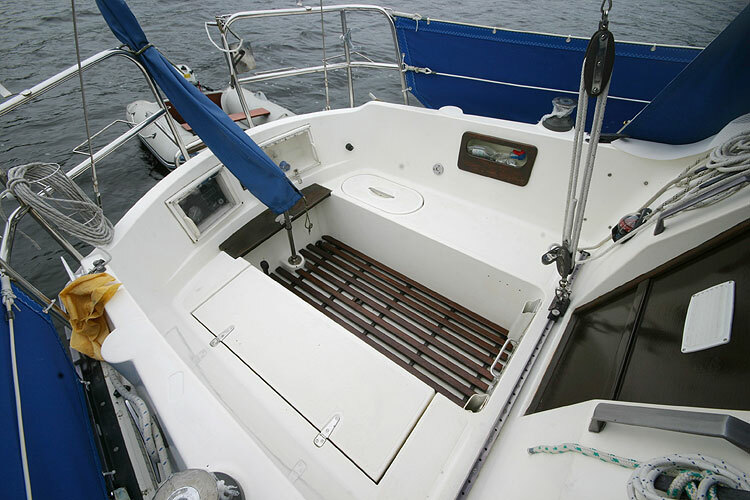 New Webasto warm air heating system. 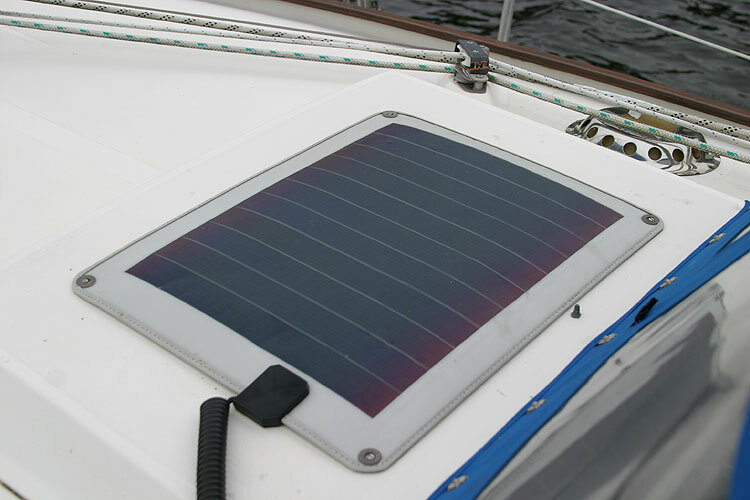 New Tecknica flat screen colour TV. 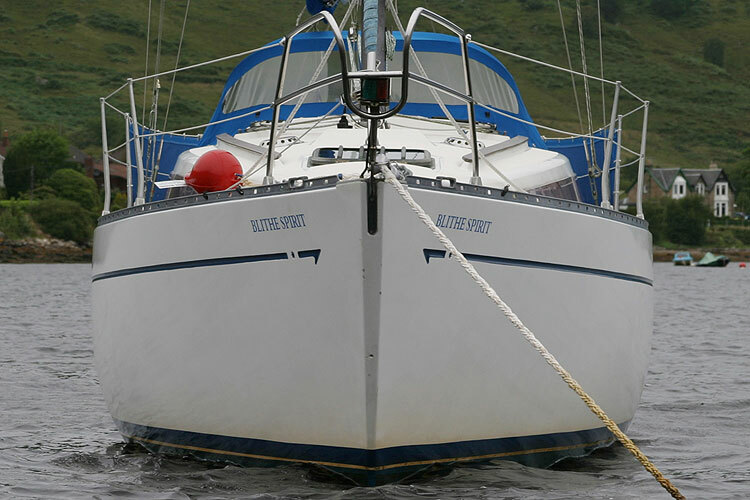 Deep water swinging mooring available by separate negotiation. 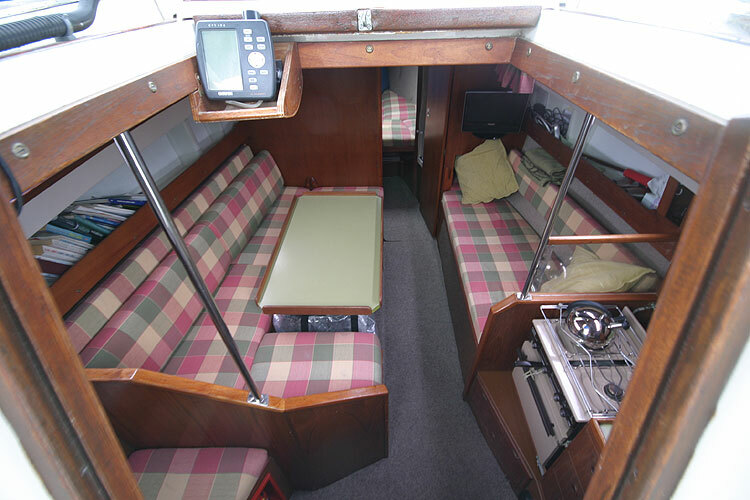 Surveyed in February 2009, all work recommended by surveyor has been carried out. 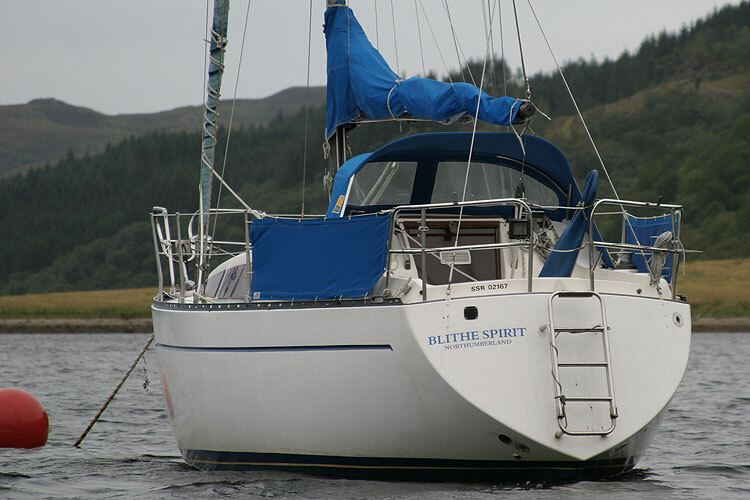 This boat is no longer for sale and remains here solely as an information resource for those researching Leisure 27 Bilge Keel's.